This past Friday was an annual tradition around here that we like to call Fall Fun Day. It really is just a day for us to slow down, make fun seasonal crafts, bake yummy treats, and enjoy this glorious time of year. 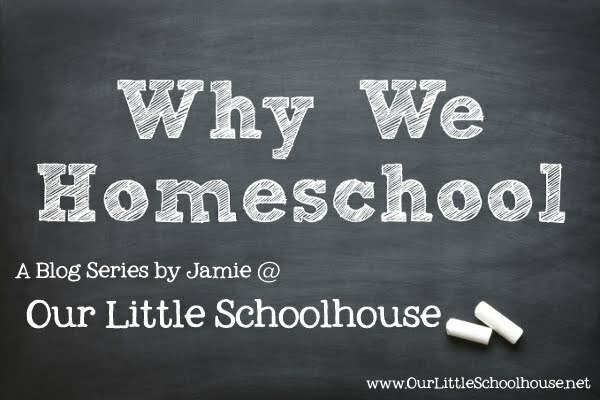 In my opinion, one of the big advantages of homeschooling is being to celebrate holidays and all those little in between special days that pop up throughout the year. Not only do we get to celebrate them “our way” with special family traditions, but we also get to celebrate them according to our convictions and how we feel like the Lord is leading us to raise up our family. 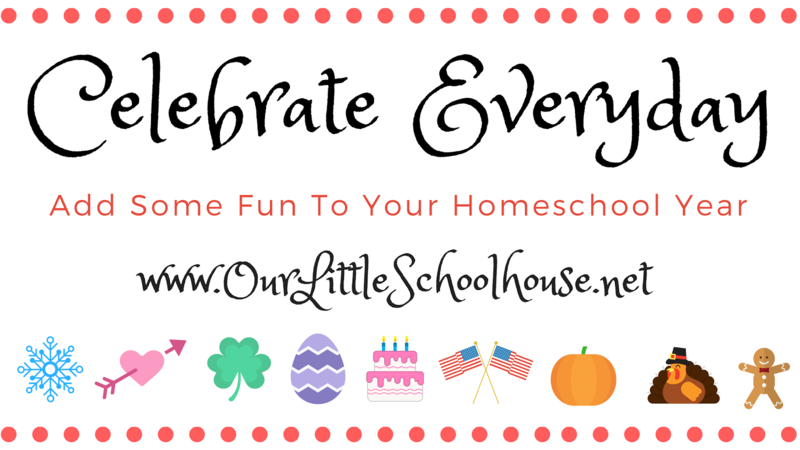 Another huge advantage to this mama of many is that I do not have to stretch myself thin to make it to one child’s activity while I miss a fun class party for the other child. Autumn Playlist – I have a couple of these autumn song mixes here on my Fall Fun Day playlist. Outdoor Secrets - This is the nature study that we normally do on Fridays. Well, that about wraps up our Fall Fun Day this year. Thanks so much for stopping by our little blog. I would love to hear some of your family’s favorite fall traditions and what you like to do this time of year. Find More Special Days Here! I thought my mom’s whole purpose was to be my mom. That’s how she made me feel. I want to ask you a question today? What is your appearance? Nope, I am not talking about the pajama pants you are wearing or the mascara smeared under your eyes because you were just too worn out to remove your makeup last night. I am talking specifically about the way that your children see you. My children see me doing so many things daily – household duties, tending to their brothers + sisters, paying bills, answering texts, grading math, running errands, preparing meals, etc… I could go on for days, right? But what I hope and pray that they see me doing is keeping my focus on God, growing my relationship with Jesus Christ, loving their Daddy with all that I am, and being available with love + patience + kindness for them in all situations. My desire is that they know that I am there for them ALL.THE.TIME. No, I am not perfect. I mess up ALL.THE.TIME – but I am a firm believer that if you do not have a goal with your eyes fixed on where you want to be headed, then you will be headed in the opposite direction and end up somewhere that you do not want to be. So let’s be their Mama first, then we can put on the hat of Homeschool Teacher, Chore Checker, Drama Coach, etc…. 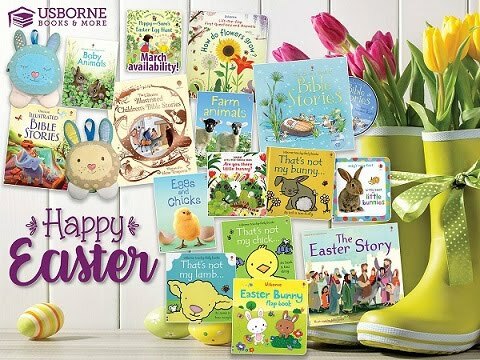 Great news Book Buddies… New Customer Specials from Usborne are available today!! This new batch of specials includes some great gift ideas. 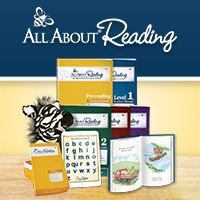 All of these titles are available while supplies last at special discounted prices. The best part - there are 2 collections at HALF PRICE!! Want All The Details? You can find everything below. This collection includes 12 paperbacks all packaged in a slipcase. 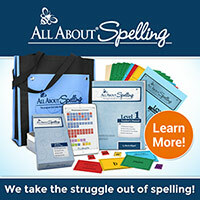 These are perfect for your little one that is just beginning to learn basic phonics. Great Price!! This collection includes 2 paperback books + 2 paint brushes. This is a great value. You can put on a Christmas movie + let the kiddos use the Christmas one now while you go work your Mrs. Clause magic and you still have an extra book to tuck away for Easter basket time. Win – Win!! Decorate the nature scenes with over 1,000 transfer rub-downs in this beautifully detailed keepsake book! An excellent book filled with all kinds of drawing and doodling prompts. 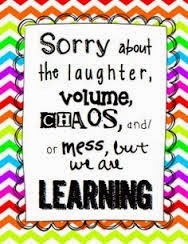 My kiddos love this one. A sweet story about friendship, patience, and longing for the good things to come - like winter. I cannot wait to add this one to our winter book basket!! A fun touchy-feely book with bright, colorful illustrations. My little guys love this series of books. 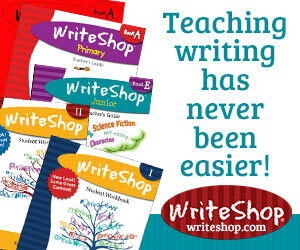 I am excited to grab the Phonics Collection + the fun winter storybook to add to our collection. Which new specials are you excited about? Please keep in mind that you can choose one of these featured titles with every $40 purchase. These specials will be available beginning 10.26.2018 and they are “Available While Supplies Last”. What do we use for meteorology and history? What is my opinion on the Boxcar Children book series? 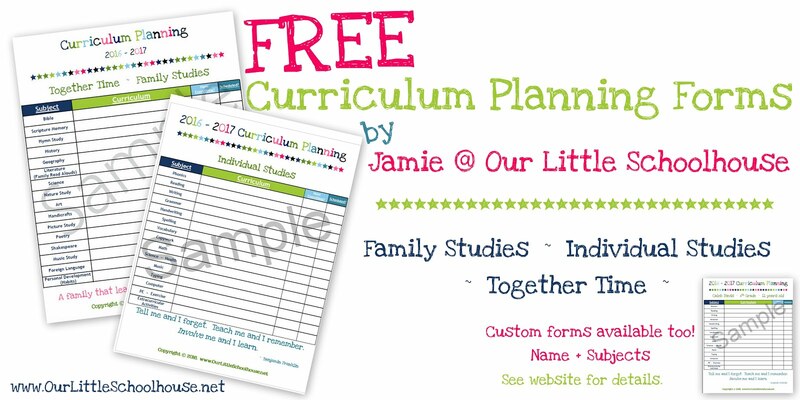 How do I lesson plan? 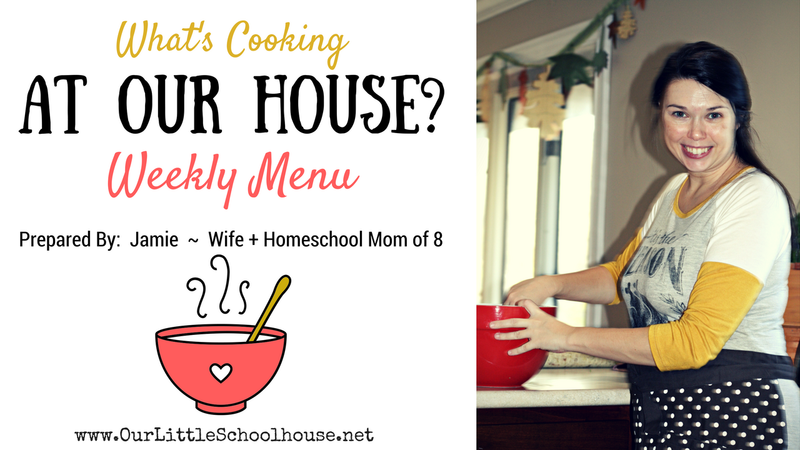 How do we structure Read Aloud time around our house? 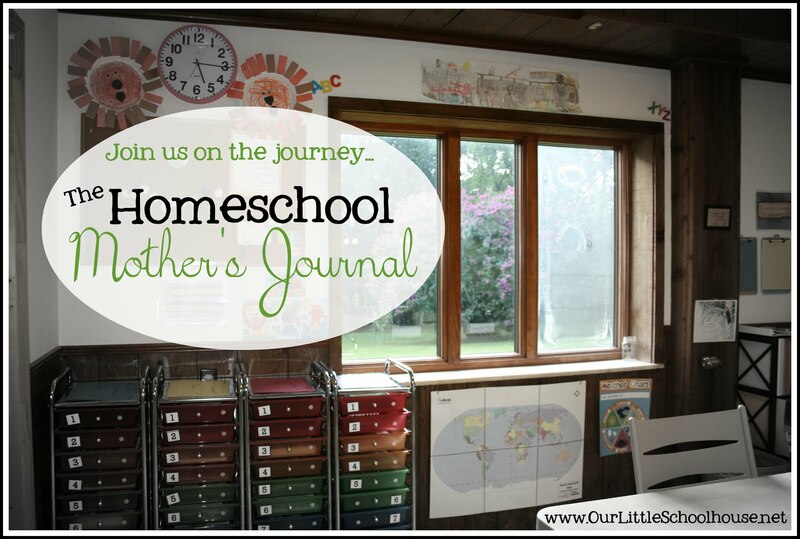 How do I handle homeschooling while having guests over? 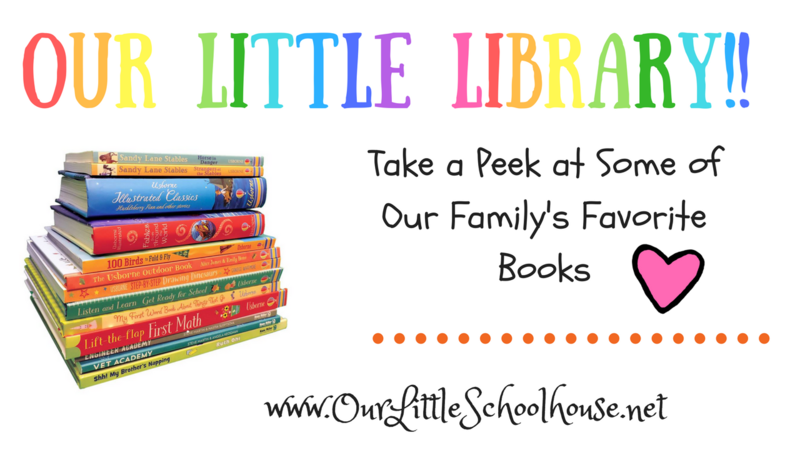 What books would I recommend for a 7 year old that likes Geronimo Stilton? How long is our typical school day? We are using this one from The Good and The Beautiful as our main spine. 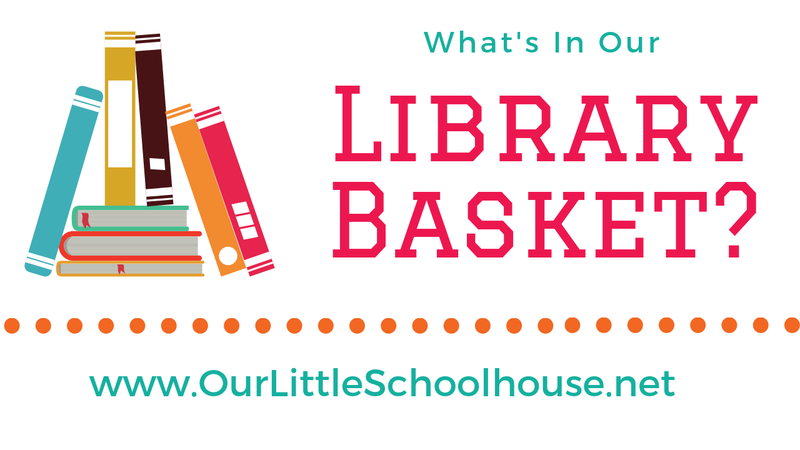 We are also reading lots of fun read alouds + using other supplements for my older children. I will try to do a video in the future of our favorite resources we are using as we study weather + the atmosphere. .
We are using both America the Beautiful + Our Star-Spangled Story from Notgrass this year as our American History spine and again we are adding in lots of living books + literature selections to go along with our topics. 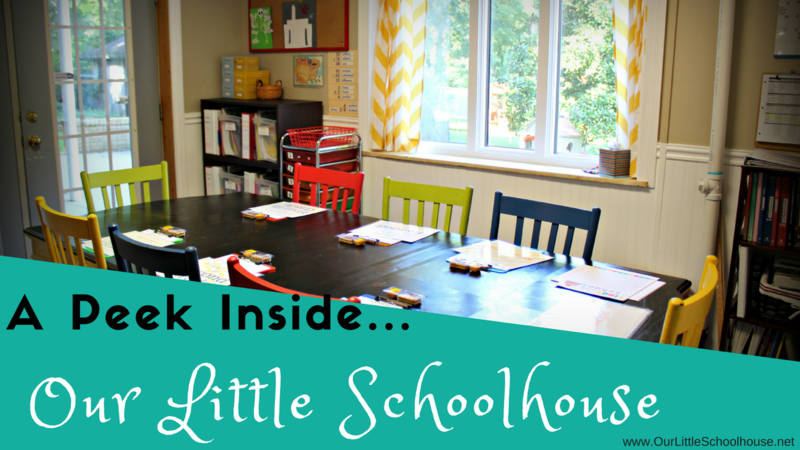 We are loving the Christian focus that this curriculum offers. 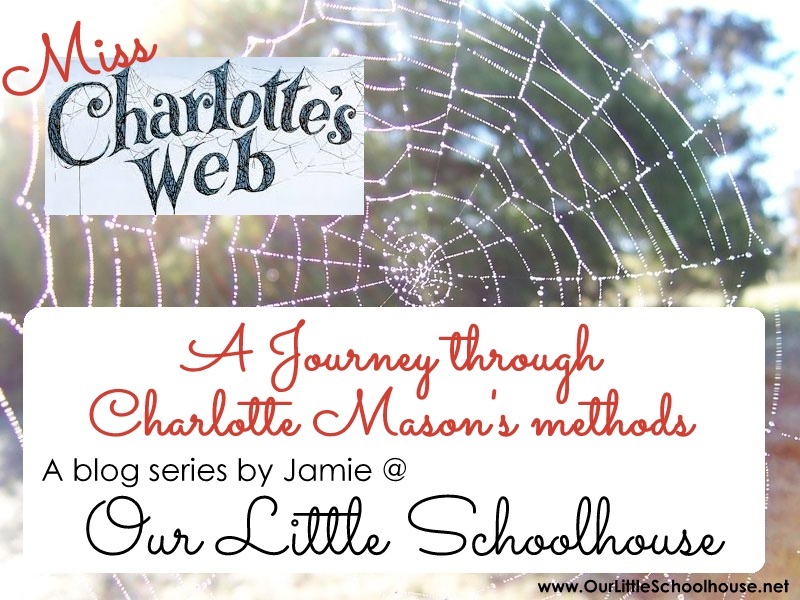 We love to use these lesson plan guides from Simply Charlotte Mason. They also have geography scheduled in there also, but we choose to do geography once a week during our Morning Time (which is a loop of subjects that we cycle through each week). If you would like to read a good article on how these guides are set up, how the history cycles are broken down, and what made this approach so appealing to me, you can find that here information here. Read With Usborne Series– Here is a link to the Level 4 Heidi and The Secret Garden books that I mentioned in the video. Please make a note that I made a mistake about the Boxcar Children book series. The first 19 books in the series were written by the original author – Gertrude Chandler Warner. I said it was the 1st 8 books. 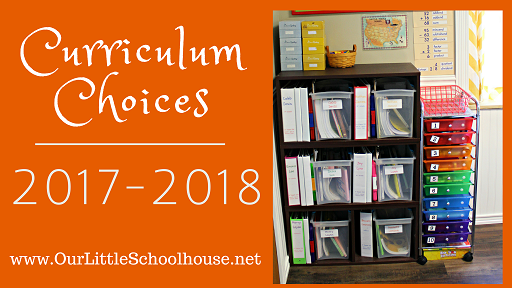 I also forgot to mention this in the video but yes, I do plan to share all of our curriculum picks for the 2018-2019 school year coming up in the weeks ahead. If you have any more questions for me or topics that you would like for me to cover in the future, please leave a comment below or feel free to contact me privately. You can find all my previous Q + A Friday videos here. Because friends don't let friends miss a good deal... Am I right? Starting today (like RIGHT NOW), Young Living is offering a fun autumn flash sale. You can receive 20% off 5 of their best-selling essentials oils. This is a really great deal so if you need to stock up your wellness cabinet for cold + flu season, this is going to be a great time to do that!! Some of my PERSONAL FAVORITES are in this line up so I am super excited for the extra savings this month. Hello.... Thieves???? I do not want to be without this bad boy in our home this time of year. If you do not have a Young Living Membership, I would love to have you sign up with me. You can get your Beginner’s Membership Box or shop as a retail customer here – www.OurLittleOils.net. Want all the details on this flash sale? Click Here. What do girls do who haven’t any mothers to help them through their troubles? My 4 girls are still young (10, 8, 6, and 3) and while I am still very much in the teaching + training phase of motherhood with all my littles under my wings each day… these precious days are going by way too fast for my liking. My reality right now is wiping up spilled milk while I juggle toddler fits, diagramming prepositional phrases, and pinning up ballet buns. Even with all these daily demands, I do not want to lose the bigger picture of motherhood. What do I mean by this bigger picture of motherhood? Well as much as I hate to admit it, these precious babies are going to one day grow up and fly out from under my wings. They are going to have those big + little troubles that life throws your way as you grow up and I really do want to be there for them every step of the way just as I have been there for them now as they learned to walk, multiply, and prepare cornbread for dinner. In regards to these 4 “little women” that I am raising, it is my hope + pray that we can always be best friends. I tell them this every night as I tuck them in bed and it is my heart’s desire to have this same close-knit relationship when they are adults as we have now. I also pray that these girls will love + support each other as sisters when they are adults just as much as they love + support each other now as 4 giggly, fun-loving little girls who all share the same bedroom. Maybe I have been watching way too much Chesapeake Shores lately, but I truly desire for all my children to grow up and for us all to be the best of friends. So Mama, focus on the relationships within your home today and ask God to keep your family close-knit. I am having a hard time believing that my baby girl turns 3 years old today. This precious – but very spirited + independent – little girl definitely keeps me on my toes. After having 3 girls in a row, I just assumed that I had this “girl thing” all figured out but I was totally wrong when this 4th little bundle of pink showed up in our lives. This precious little blue-eyed, light haired baby doll has us all at her beck + call and we absolutely adore her. We keep birthdays pretty simple around here. Lauren Hope was able to spend last weekend with her grandparents + extended family and then we had her actual party here at our home today. We had a great time celebrating our “Little Bit of Hope” as we like to call her. We like to do something called “Praises before Presents”. It is a time for each member of the family to speak love + appreciation to the birthday boy or girl. Lauren Hope was super excited about this part and I think her favorite part was giving everyone hugs + kisses after they said praises to her this evening. The rest of our weekend will be filled up with visiting the pumpkin patch, watching Nate play his final game of flag football, and celebrating Merry Layne as she gets baptized at church on Sunday morning. Whew… I sure am glad we homeschool and don’t get out to socialize much. Ha!! !